The North Carolina Cooperative Extension Administrative Professionals Association (NCCEAPA) are seeking nominations for a $750 scholarship offered through March 15, 2019. 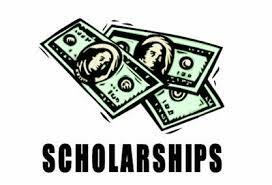 The scholarship is available to North Carolina residents pursuing a college degree (Associates and/or Bachelors) in a business related field of study. Applicants must be enrolled to attend classes at a college during the 2019 – 2020 school year. The scholarship is awarded annually to honor the work and dedication of Edith Herter and Frances O’Neal, co-leaders in forming the NCCEAPA in1973. Information regarding the scholarship and the form to apply are below. • Deadline for ECA Scholarship Application Is Approaching!